This week I have been playing with another old, traditional quilt block called the Flying Dutchman or Dutchman’s puzzle. The block is really a version of Flying Geese. My first variation on the pattern was inspired, I am embarrassed to say, by our local Shell Petrol/Gas station. 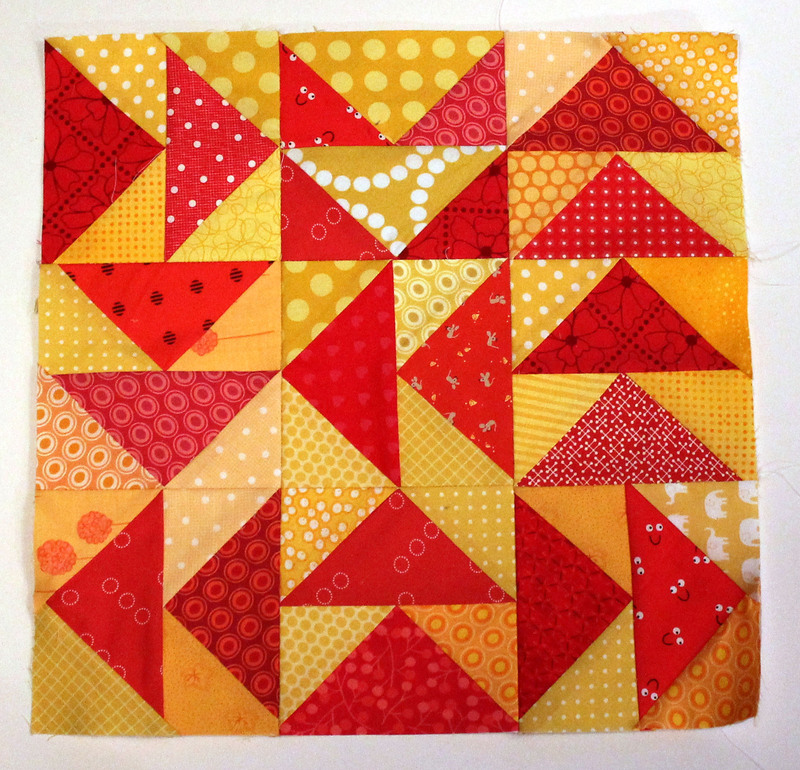 I love the red and yellow combination and had such fun mixing the placement of the blocks up. The scrap, the random layout and the occasional reversed pattern will make for an interesting quilt I think. The pattern I used was a free paper piecing block from Quilt.com. This is a really simple way to do triangles. For the other block I did with this pattern, I went a much more traditional route. First, I used a selection of fabrics from Aneela Hoey’s new Posy fabric line for Moda. It is such a pretty collection of fabrics I could not resist. Then I used the standard Flying Dutchman block layout. I love the fact these are going to be two very different quilts using the same simple pattern. There are more layout ideas for this pattern at the Connecting Threads here. I definitely have to start finishing more quilts. I have so many in varying stages of the process that my work space is getting over run. I have too many ideas for quilts and not enough time. Any suggestion for how to get around this problem? My husband suggests we invest in a Tardis! I have no idea how to reduce your UFOs, if you find a solution let me know! 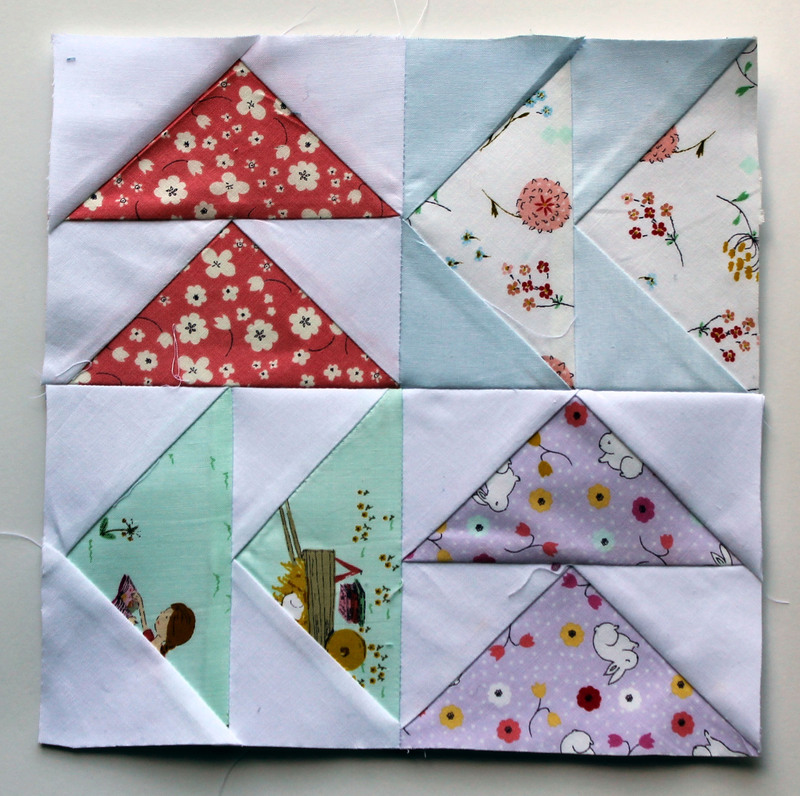 But your two blocks demonstrate why I love patchwork so much, same pattern totally different and gorgeous results, beautiful. The Flying Dutchman looks good scrappy! I love flying geese. I want to work on something that incorporates randomly placed blocks of them, but I haven’t gotten around to it yet. Too many UFOs haha! Your blocks look so brilliantly different!! I really love the posy one!! I’ve got a bit of an addiction to that fabric at the moment! Haha, I think everyone should have their own Tardis. (Though logically it would probably make a huge mess.) I love how these two blocks have such different personalities. Flying Geese, yes! Yellow and Red, yes, yes! I love your red and yellow block! Your hubby has obviously not thought about the ramifications on your relationship if The Doctor came to get you in his TARDIS. He knows he is safe if it is Matt Smith… not so much if it is David Tennant! Enjoying the fiery palette of that first block! Wow, two quilts made of flying geese! You must really like them:) really like how you reversed a couple of them in the top layou! I do like a triangle or two. I actually really like how quick and easy this pattern is and how much you can do with it. I may take me a while to finish these quilts though! I like the first (though not a fan of yellow, or red + yellow), but love the second! Very whimsical. I was definitely not going to win on the first one but glad you liked the second one. Having seen your recent quilt, I believe you would agree that the Tardis is a good solution to my time issue! Your blocks look great. I love the prints in the second one! Yes yes . . . way too many ideas and never enough time. I so relate. Your flying geese blocks look good, just keep at it. Very cool! I never thought of paper piecing flying geese. I really like the colors you’ve chosen and your inspiration for the first one! The colors for the second one are so pretty!